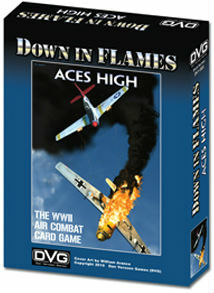 Down in Flames: Aces High from DVG gets itself reviewed by the experts over at Play Board Games. Down in Flames: Aces High is a tactical card game representing a dogfight. You must outmaneuver and shoot down your opponent’s planes.